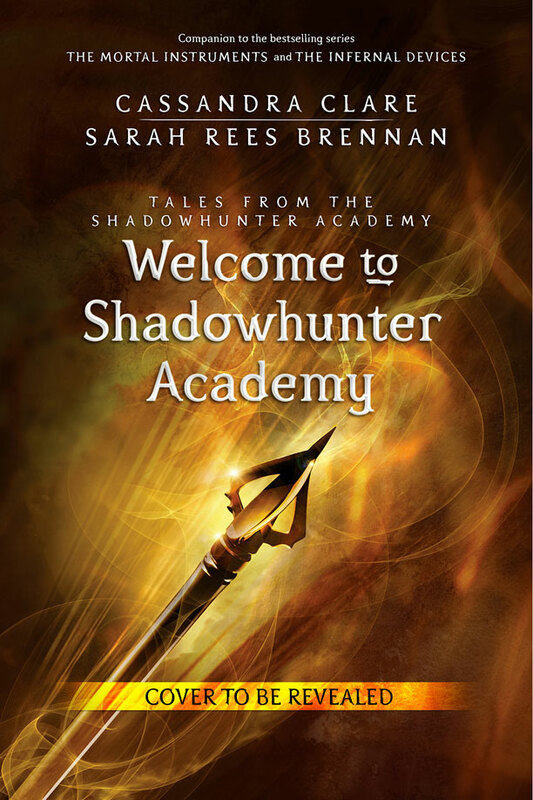 Back in August Cassandra Clare revealed the 10 titles of her short story series Tales from the Shadowhunter Academy which she will be co-writing with Sarah Rees Brennan, Maureen Johnson and Robin Wasserman. Thanks to Entertainment Weekly we now have the release dates for each installment and a lovely placeholder for the very first ebook. But there wasn’t room for that in The Dark Artifices, the next books, because it’s a book of its own. I wound up discussing it with Maureen and Sarah, and we really missed doing The Bane Chronicles together and thought this would be a perfect second project for us since we all love Simon. Maureen actually loves him the most. We brought our friend Robin Wasserman on board as well since she’s such an amazing writer. The stories will follow Simon, but also flip back and forth in time so you can expect to see Jace and Clary, Will and Jem, Tessa, and Emma—characters old and new! Tales from the Shadowhunter Academy will first get published as ebooks before it’ll be released as a print edition and EW will reveal the covers before each release date. Sarah Rees Brennan actually shared that Maureen Johnson will co-write more than one ebook; the ladies are still allotting the stories. Which ebook are you looking forward to? Sound off in the comments! Excellent news. The first story is going to released on my birthday awesome. This looks really promising! Some of the best names in YA Fiction! I love stuff like this 🙂 Thank you tmisource. How awesome! Between this news and the talk about it possibly becoming a TV series, I’m really excited!!! These short stories are the sweetest nod and gift to fans any author could give!! We are so very thankful! I mean, The Last Herondale….. someone knows what’s up with fans and our theories and this is an adorable nod to our theories on TLH meaning. Awwww love Cassie and the Shadowhunter world!! This looks awesome, cant believe I missed this. I wonder if the publisher will publish a hardcover of all of the stories like The Bane Chronicles. The Lost Herondale has me so excited who could it be. Is it Jace or some random Herondale we know nothing about….. maybe they’re Irish, it is released on St Patricks day! I have been counting down the days!!! This is like Christmas! Finally get to read the first one and 28 days to the next release!!!! !